Is everybody settling into the new year okay? Personally, I'm doing okay, just okay. I got hit with a nasty bout of food poisoning right before Christmas that lasted all throughout the holiday week up until now. It was the sickest I'd been in a while — between the stomachaches and bathroom trips and my stupid broken toe (oh, yeah, I complained about this a lot on my Instagram Stories but never actually mentioned it here — I broke my toe, lol), I confined myself to the couch alternating my time between napping with my cat and half-heartedly watching The Walking Dead. I'm not usually one for resolutions, but now I have two for 2018: avoid shellfish (I have this new theory that the more fancy the restaurant is, the more dangerous the shellfish is) and find new, less grim TV shows to watch. Recommendations welcome. 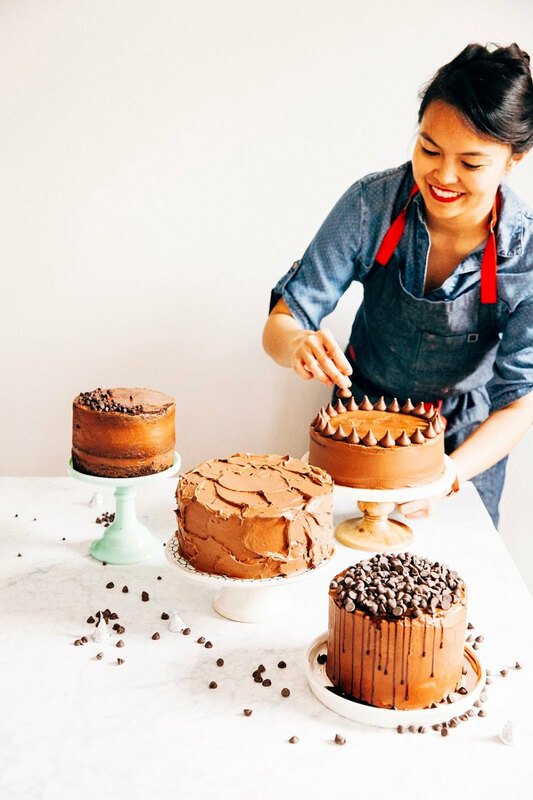 I'm only now just getting back into the kitchen to work on Weeknight Baking and develop recipes for this blog. The good news is, I have a bunch of recipes that I've been working on from last year that I never got around to posting. 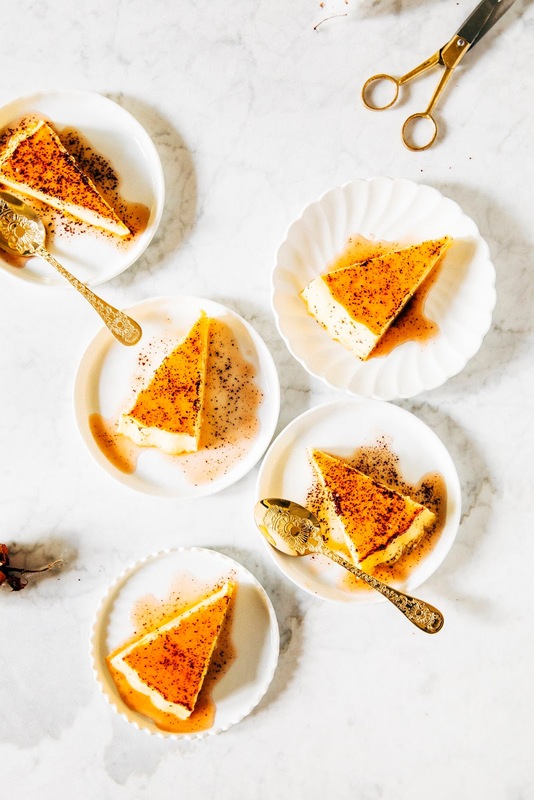 Like this sumac creme caramel! Sumac is a Middle Eastern spice that tastes a little like dried lemon zest, except a little more flavorful and a touch funkier (in a good way). Although it's frequently used in savory dishes to add a citrusy kick to meats and hummus and salad, I've been using it in sweet dishes like donuts and pie as of late. 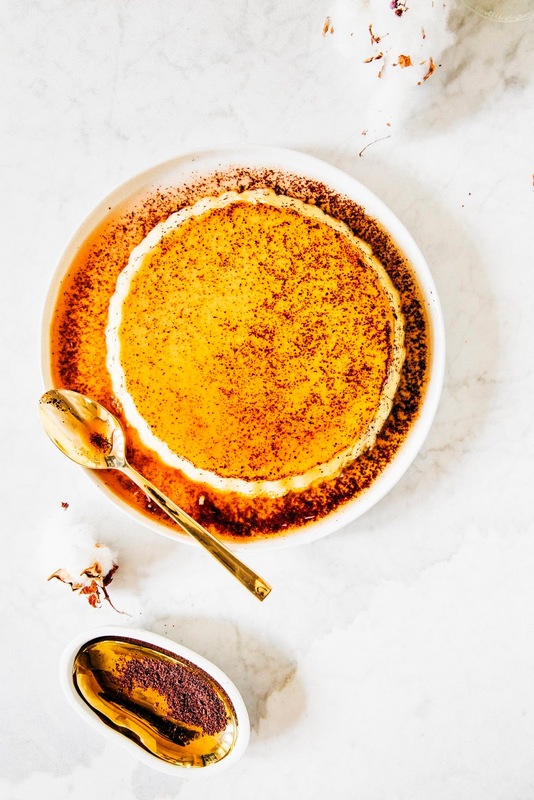 This sumac creme caramel, as simple as it seems, actually took me a few tries to get right. The first time I used my grandma's Filipino leche flan recipe, but found that the custard was too dense and creamy for the sumac. The second time around, I used the ginger creme caramel recipe from Ottolenghi's SWEET cookbook as a base. 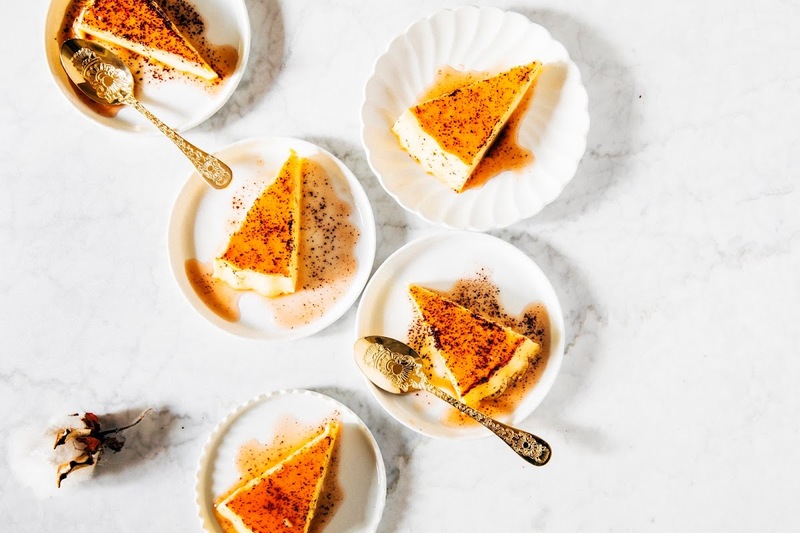 Their recipe has a higher ratio of milk to cream than most creme caramel recipes, leading to a lighter custard that works wonderfully with the sumac. Plan ahead for this one! This recipe has you infuse the milk and cream with sumac and vanilla overnight. After you've made the custard and poured it into its mold, it will need another 24 hours to set. In a pinch, you can skip the infusion, but your custard won't be as flavorful as mine was. To get the fluted edges on the creme caramel, I poured the custard into this fluted porcelain baking dish from Staub. I had a little extra custard leftover that I then poured into two ramekins. If you want to just use one dish for the caramel, use a 10-inch pan instead. To bake the creme caramel, you'll need to create a water bath. 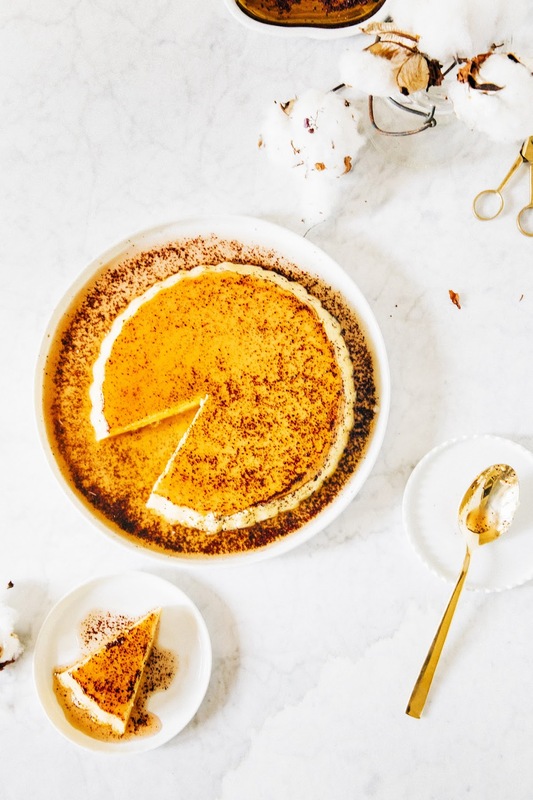 You'll need a pan wide enough to fit a 10-inch pan comfortably; it also will need to have high sides to contain enough water to go at least halfway up the sides of the creme caramel pan. I don't have any baking dishes that big and wide, so I ended up using a turkey roasting pan with the wire rack removed (this is the kind I have). It worked well enough, though if you don't want to be janky like me, you can probably source a large disposable aluminum roasting pan from your grocery store. In a medium bowl, whisk together 3 1/4 cups whole milk, 1/2 cup heavy cream, and 1 tablespoon ground sumac. Use a sharp knife to split a vanilla bean pod lengthwise and scrape the seeds into the mixture. Throw the vanilla bean pod into the mixture as well, and whisk to combine. 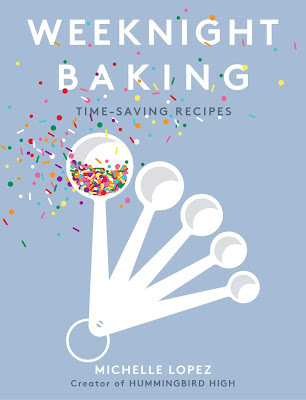 Cover with plastic wrap and refrigerate for at least 6 hours, preferably overnight, to infuse. Once the cream has been infused and you're ready to make the creme caramel, preheat the oven to 350 (F). Place 1 cup of the granulated sugar to a large saute pan or skillet and place over medium heat. Cook for about 5 minutes, resisting the urge to stir but tilt and swirl the pan instead, until the sugar has melted and begins to brown around the edges. You will need to do this slowly and continually until the sugar has turned into a dark amber caramel. 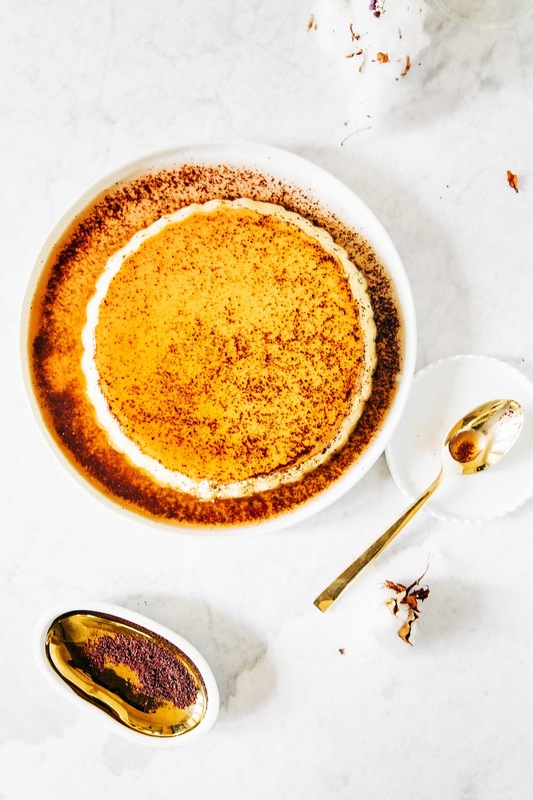 Once the sugar has turned into a caramel, immediately pour it into your creme caramel mold and sprinkle 1 teaspoon ground sumac evenly across the surface. Tilt the dish around so that the caramel coats the entire base and rises halfway up the sides of the dish. Place the dish on a wire rack; the caramel needs to set so that it should be firm enough that pouring the custard over the top of it will not disturb it in any way. Place 6 eggs in a large bowl with the remaining 1 cup of granulated sugar, 1 teaspoon pure vanilla extract, and 1/4 teaspoon kosher salt. Whisk until smooth, then strain the infused milk/cream mixture into the eggs through a fine-mesh sieve, pressing the vanilla pod against the mesh to extract as much flavor as you can. Discard the vanilla pod and whisk until the mixture is thoroughly combined but not too frothy. Pour the mixture into the caramel-coated dish. Carefully transfer the dish to a wide, high-sided baking pan (see baker's notes) and transfer to the preheated oven. Pour hot water from the kettle into the baking pan so that it comes up about halfway up the sides of the creme caramel dish. Bake for about 90 minutes; the creme caramel should still have a wobble in the middle but a skewer inserted into the center of the caramel should come out clean. Don't worry about the wobble! It'll firm up in the fridge. In fact, be more concerned if your caramel doesn't wobble — that means your custard is overcooked. Once the creme caramel is done, remove the baking pan from the oven and carefully transfer the creme caramel to a wire rack. Cool to room temperature completely, before covering with plastic wrap and transferring to the refrigerator to set overnight. After the creme caramel has set and chilled, it's ready to be served. If the custard part of the caramel is stuck to the sides of the dish, carefully run a small knife along the edges to release it. 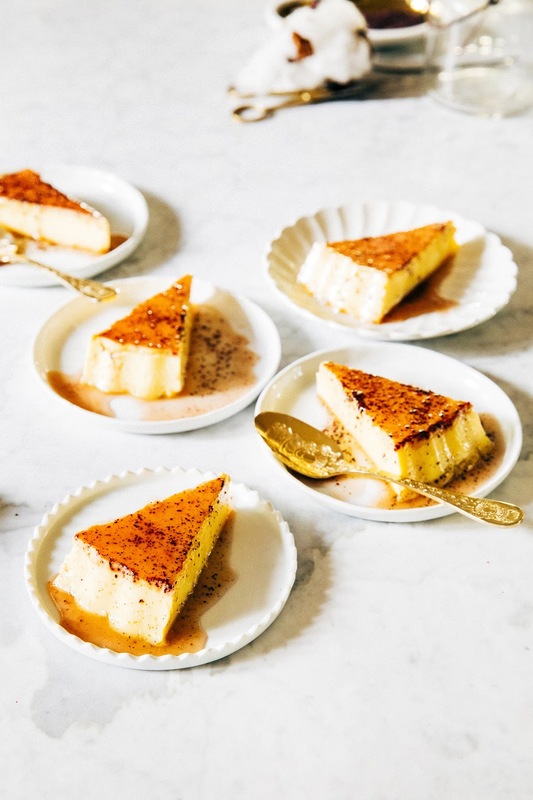 Place a large plate (larger than your baking dish) with a rim to catch the caramel on top of the creme caramel, and quickly flip the whole thing over. Gently lift off the dish to release the creme caramel. Enjoy!